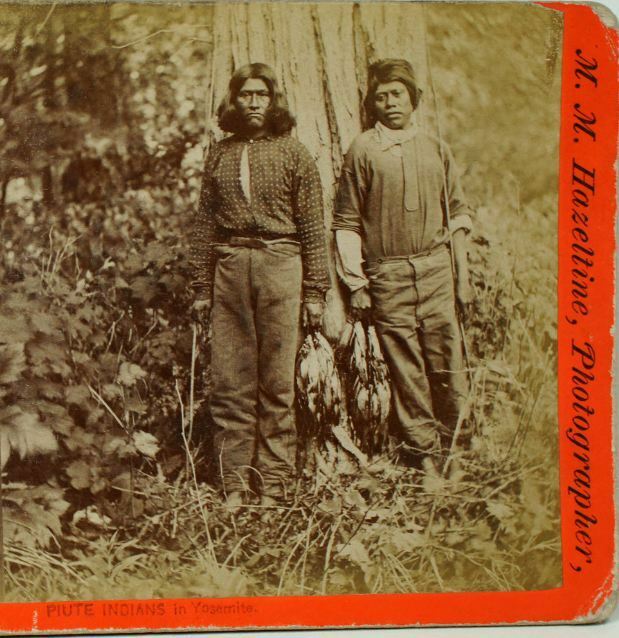 One of the earliest Yosemite area photographers was a man named M. M. Hazeltine. Hazeltine took this photo of two Paiute men with their catch while in Yosemite. This is a very rare photo.